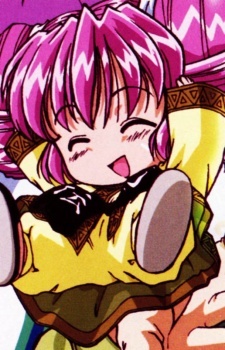 The tiny, pink-haired, telepathic hoshigami of Shaorin that is given to Tasuke when he attends school. She also takes most responsibility for keeping the house clean and is called the "garbage gnome" by Ruuan. She is unable to speak at an audible volume to Tasuke so she communicates by drawing cartoons on palm cards with a paintbrush. She has a cute way of speaking, which includes saying "deshi" instead of "desu" and calling Tasuke "Tasuke-shama".